Mark your calendar: the dedication ceremony for the Jacob Haish historical marker has been set. The dedication ceremony for the Illinois State historical marker honoring Jacob Haish will be held at 10:30 a.m. on June 17, 2017, at the DeKalb Public Library, 309 Oak St. The Haish marker is the latest historical marker designation through the DeKalb Area Agricultural Heritage Association, and donations to fund the project have rolled in from barbed wire groups, locals, family descendants and more. 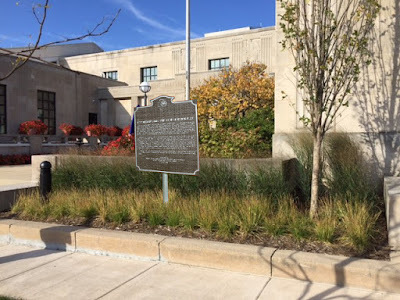 The historical marker will detail Haish's contributions to the agricultural community through his innovations such as barbed wire and farming implements. The text on the marker also honors his "eccentric personality and generous philanthropy." The marker will be posted outside of the DeKalb Public Library, or Haish Memorial Library, as it was originally known, due to Haish's decision to leave $150,000 in his will for a community library. The marker will be unveiled following remarks from the speakers. For more information contact DAAHA at 815-756-8737, or visit daaha.org.